Em. 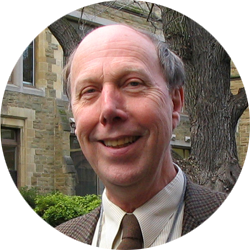 Prof. Frank Sear is a Classics graduate of Cambridge University where he also took his Ph.D. As a research Fellow he spent five years living in Italy and has visited Sicily regularly since then. Since 1991 he has been Professor of Classical Studies at the University of Melbourne where he is now an Emeritus Professor. As Director of the Australian Roman Theatres project, he surveyed the theatre at Taormina in Sicily and has written numerous articles on his archaeological work, including one on the Roman mosaics at Piazza Armerina. His books include Roman Wall and Vault Mosaics, Roman Architecture, and Roman Theatres in which he discusses all of the Roman theatres of Sicily. He has conducted 19 tours in Italy, Greece, Turkey, the Middle East, Egypt, North Africa, Spain and France. Phoenicians, Greeks, Romans, Byzantines, Arabs, Normans, Germans, Angevins, Aragonese, and Bourbons have in turn dominated Sicily. Today Sicily’s towns and cities remain relatively unspoilt and we can enjoy the serenity of its Greek temples; the well-preserved mosaics of Piazza Armerina; its 12th century Norman churches, palaces and cathedrals; and architectural gems like the perfectly preserved city of Noto with its Baroque churches and palaces. Sicily’s riches also extend to its museums and art galleries, and there are few finer sights than Mount Etna rising behind the Roman theatre at Taormina or the giant, smoking volcano of Stromboli seen across a smooth, dark sea.